J: Well I've got to admit I do love me a bit of MTV's Catfish, so when we saw this was on Netflix we decided to give it a whirl. It was just as enjoyable as the TV show, but this movie was centered around the host Nev and his experience with a woman he had met online and fallen in love with without having ever met her. Shock horror it turned out she wasn't who she said the was! So now you can see that Nev isn't actually spurting platitudes about situations he knows nothing about on the TV show, because he's been there and been through it himself! L: Catfish has to be one of my favourite tv shows to just sit and watch when there's nothing on. I've wanted to see the movie for a while, to find out Nev's story and where the idea for the show all began. I really enjoyed this and I actually found the whole thing quite sad. Part of me couldn't help but feel sorry for both Nev and Angela, even though she was in the wrong it was still quite emotional to watch. 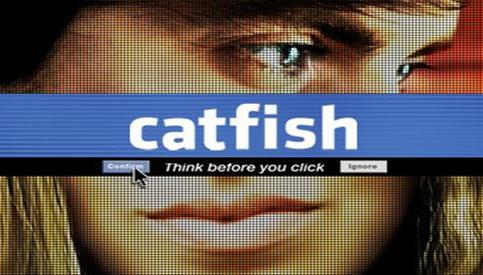 It was good to see where Catfish originated from and fans of the show should definitely watch this. J: I'll be honest, I've not got much to say about this movie other than it's your bog standard scary movie. 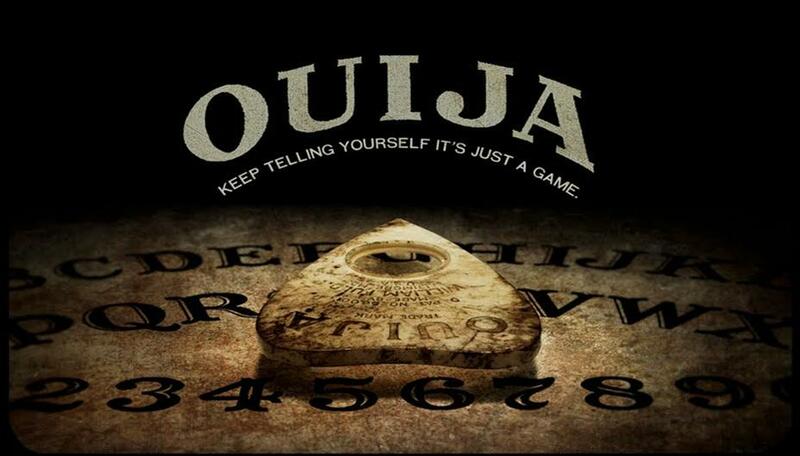 Long story short, some people use a ouija board and one by one they start getting killed in strange ways. While it was all fairly predictable, it provided just enough little jumps and surprises to keep me awake. Not one I'll be rushing to watch again! L: I wasn't expecting anything fantastic from this film and I was right not to get my hopes up. It definitely made me jump in a few places but overall it was too predictable for me to be surprised by any of the outcomes. I probably wouldn't bother watching this again. J: Years back I really wanted to see ParaNorman (made by the same people that made The Boxtrolls) but for some reason I've still never seen it. Anyway, this popped up on Now TV so I really wanted to watch it. Eggs is a young boy that was brought up by the Boxtrolls, and when they start to get hunted and captured, it is down to Eggs to help show the Boxtrolls are gentle and nice little creatures! 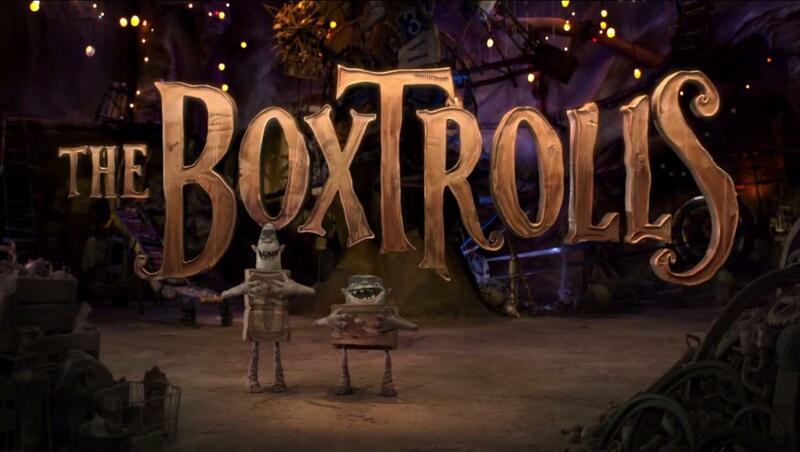 I wasn't disappointed with Boxtrolls at all: this was one of the best films I've seen in a long time. The animation was amazing, the voice acting was spot on, and the story was so imaginative and interesting. Really good film that I'd recommend to anyone! L: When this came on Now TV I suggested we should watch it seen as we've wanted to see ParaNorman for ages but still haven't got around to watching it and this film comes from the same people. The Boxtrolls was actually a pleasant little surprise, the animation is amazing and the story is very enjoyable and original. Next up we definitely have to see ParaNorman.